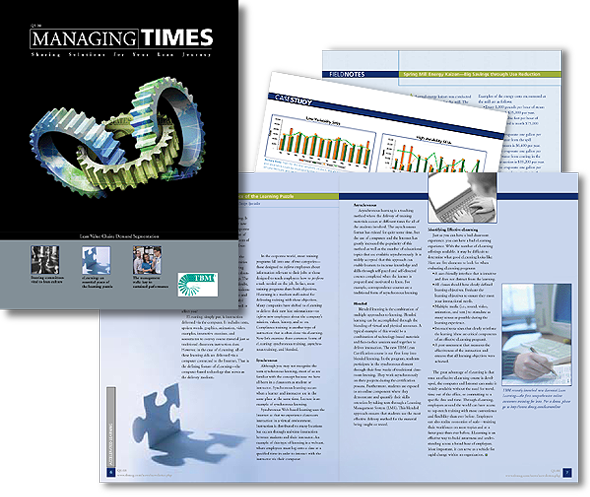 Managing Times is a quarterly magazine that offers case studies, strategies, and tools for the manufacturing and service industry. 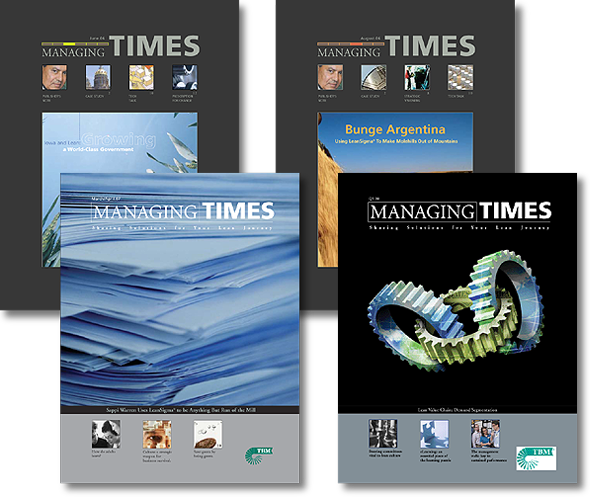 In 2002, IONA provided the new identity for the Managing Times, taking the quarterly for a two-color pamphlet to a 16 page, four-color magazine. The publication incorporates compelling images of the featured company and its’ executive with the creative writing of TBM’s editor. On a quarterly basis, IONA worked with TBM Consulting Group for over 10 years in the design, production, and management of the quarterly magazine with a print run of 15,000. IONA worked with featured clients such as IONA government, Sapee, Vermeer, Steinway & Sons, and Roche.